Mi Flash Tool 2017. Download and install the Mi Flash Tool 2016/17 Xiaomi Mi Flash Tool allows you to flash fastboot files or stock firmware to all Xiaomi Mi smartphones and tablets. Are you in search of the Mi Flash Tool? Luckily, on this page, we list all versions of Xiaomi Mi Flash Tool. This includes the Mi Flash Tool Beta and all previous and current versions of the MIUI Flash Tool Download. To give a bit of perspective, use the Mi Flash Tool with the Redmi 1S or the Redmi Note 4G. With the Mi Flash Tool download, flash the MIUI 6 ROM on MI 4I with fastboot. Moreover, flash MIUI fastboot ROMs on Mi3 & flash MIUI fastboot ROM on the Redmi 1S. You understand, right? The Mi Flash Tool is the perfect tool to have for persons with bricked XiamoMi smartphone software. Moreover, the software works along with the ADB for Mi devices and the Mi PC Suite. You can find information, downloads and tutorials to install each of these on OrDuh! The Mi Flash Tool Download Link is below as well. The MiPhone app which is also known as the Mi Flash Tool is a tool to install MIUI Fastboot ROM packages to any Xiaomi device. Gadgets include Redmi 1/1S/2, Redmi Note 3G/4G/, Redmi Note 2/3, Mi 2/3/4/4i/4c/4s/5 and the Mi Pad. With the MiFlash Tool, users restore bricked MiPhones by flashing an MIUI ROM via the Fastboot method. Flashing a ROM via fastboot is much like factory resetting your device. Moreover, you lose data stored on the smartphone. However, creating a full backup allows you to restore the data after the flash. This MIUI flashing tool works along and is compatible with ADB for Mi devices and the Mi PC Suite or MiPhone Manager app. The Mi Flash Tool is a key instrument which every Xiaomi user should have. You may download both the MiFlash Tool & Mi PC Suite via the official MIUI server. However, the server may not always be up and, as such, we provide links below. 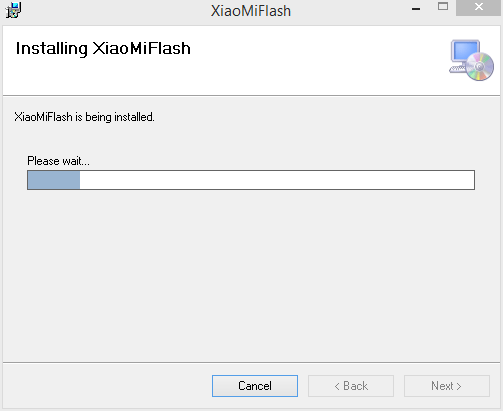 Firstly, the Xiaomi Mi Flash Tool is an Installer. In order to use the Flash Tool, you must install it on your computer. During installation, the Mi Flash package comes with an ADB Tool, Drivers, and the Mi Tool. Secondly, Xiaomi Mi Flash Tool features inbuilt USB Drivers. These drivers include Google ADB Tools and USB Drivers for most Xiaomi smartphones and tablets. Also, the inbuilt drivers feature Microsoft MTP, RNDIS Drivers, and Qualcomm USB Serial Drivers. So far, the Mi Flash Tool is one of the most robust smartphone tools developed. Furthermore, with all these drivers, you do not need to install the specific drivers manually. Simply connect your Mi device to the PC and the tool detects and installs the necessary drivers. Lastly, there are 3 flashing options available. These flashing options include Flash All, Flash All except Storage and Flash All except data and Storage. By default, Flash All except Storage is the default method of flashing the fastboot files on Xiaomi Devices. Use the download Mi Flash Tool links below to get the latest version of the software. Currently, the latest version is MiFlash20160830. For previous versions, see the Mi Flash Tool 2016 Latest Updates section. So far, there are no updates for 2017. Download Mi Flash Tool Download Link or Via this LINK. What’s new in v20160401? It fully supports flashing MIUI Fastboot ROM on Mi 5 devices. Furthermore, it allows for Qualcomm drivers. Also, the Mi Flash Tool 2016 version only works on Windows 64-bit system. You read that right MiFlashTool for Mi5 devices. Did you know that you can install Android 6.0 Marshmallow on Xiaomi Mi 4 smartphones? You can do so via the CyanogenMod CM13 ROM. Read how to Install Xiaomi Mi 4 CM13 Android 6.0 Marshmallow for more information. Did you know that you can unbrick a bricked Xiaomi M3 smartphone? Read this FLASH MIUI ON BRICKED XIAOMI MI3 article for more information. Did you know that you can install Android 6.0 Marshmallow on Xiaomi Redmi 1s smartphones? Read this how to Install Xiaomi Redmi 1S CM13 Android 6.0 Marshmallow article for more information. Did you know that there is a PC suite available for Xiaomi smartphones? Read everything you need to know about the Mi PC Suite article for more information. 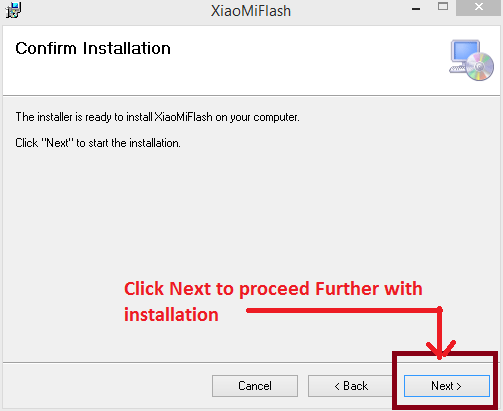 How to Install Mi Flash Tool? Extract the contents of the Mi Flash Tool Zip file that you downloaded above. Additionally, be sure to save the folder to your desktop or another easily accessible location. Use the image or video guide below to install Mi Flash Tool. 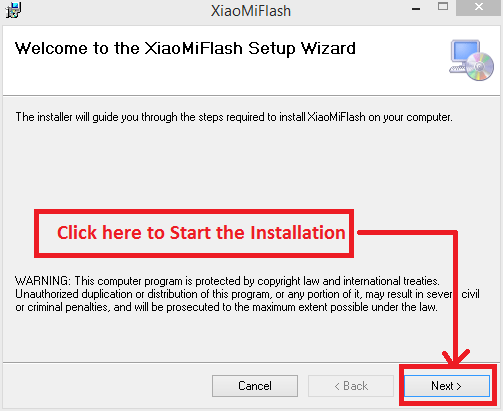 XiaMiFlash Setup Wizard Welcome Screen. Do you want to define the installation path? Then, click next. Select the Mi Flash Tool Installation Folder. The installation process begins. Wait for it to complete. Then, click “Close”. 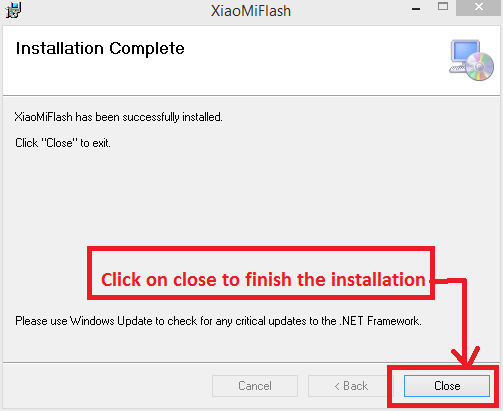 Install Mi Flash Tool – Completion. Are you ready to flash a ROM? You need to execute/double click the Mi Flash Tool to do so. You flash the ROM by copying the path/location of the desired ROM. Paste it into the Mi Flash Tool Interface. Continue following the steps in the relevant tutorial. Find instructions for this usage in the relevant tutorials. However, we provide them here for understanding and educational purposes. Watch this informational video. 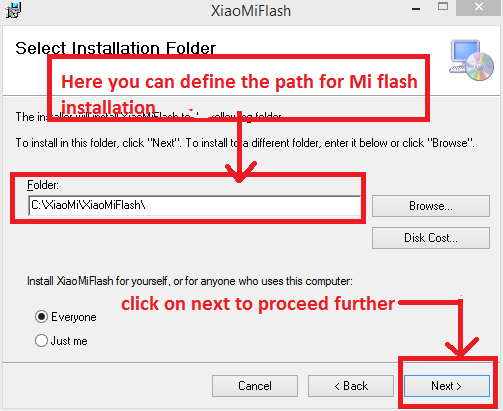 See how to use the Mi Flash Tool to flash Mi devices. In this case, the Redmi 1s. Thanks for reading how to download and install the Mi Flash Tool on Windows computers. If you need assistance, then please feel free to contact us. As a general note, the MiPhone App & the Xiaomi miflash tool/MIUI ROM Flashing Tool are the same applications. Do not worry with the variation in naming when downloading the files. Also, if you need assistance, feel free to leave us a comment in the comments section below. Thanks for reading how to use Mi Flash Tool here on OrDuh! Feel free to check out our other guides! I was looking for mi flash tool for redmi 1s. Thanks for the link. Hi Sandeep, this can also be use as the mi flash tool for redmi 2. It works with all Mi devices. mi flash tool for redmi note 4g downloaded and installed. Many thanks!! Glad that our mi flash tool download page was helpful to you! Thanks for your comment! The mi flash tool for redmi 1s download page had the wrong version. Is this the latest version? Yes, this is the right one. If it is outdated then the client will offer an update or you can check for an update yourself using the Mi Flash Tool interface. is this working for lenovo s90-a? I am not sure that the Mi Flash Tool works on the Lenovo s90-a. My Mi4 was locked! Iam unable to select the MTP option. How to flash it.